Just a very quick post to say that this morning Wil and I went to Green Lake for our run. See, today was Week 5 Run 3 of the NHS Couch to 5K plan ... which meant that we did a huge jump and ran 20 minutes non-stop -- and the previous longest single run was 8 minutes. 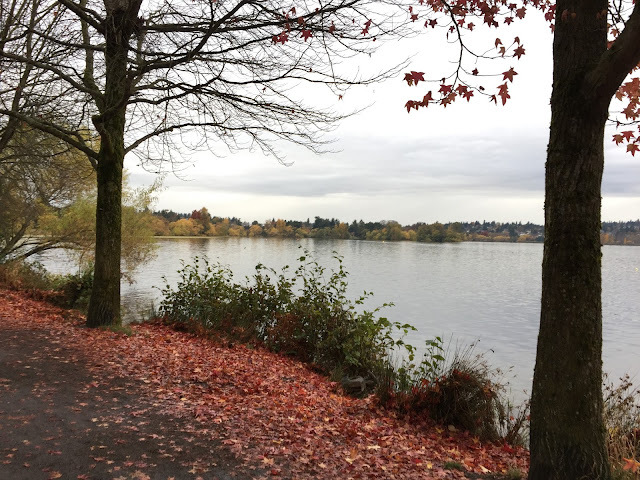 I wanted to go to Green Lake so that I didn't have to think, to plan, to wait for traffic -- I could just trot along on a relatively flat surface. 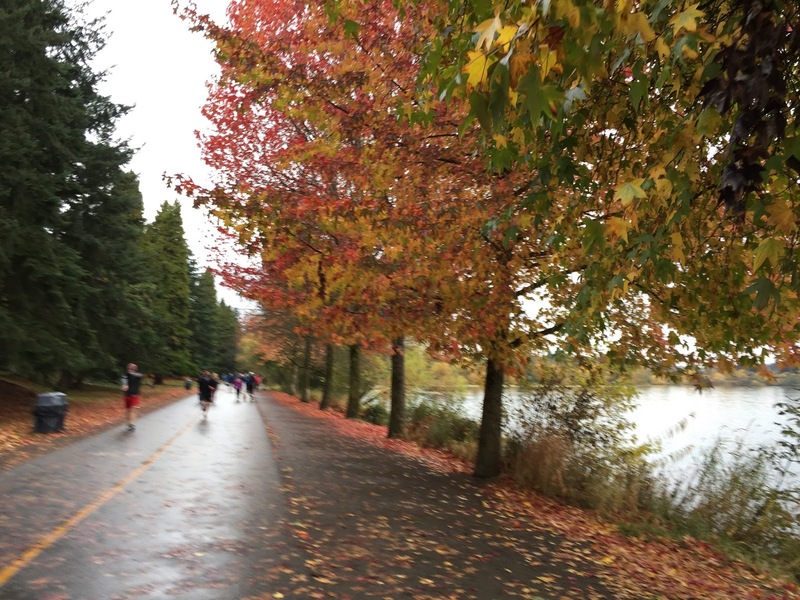 And though it was drizzling turing the first few minutes, it actually cleared up a little as we ran. We started with the usual 5-minute warmup walk. 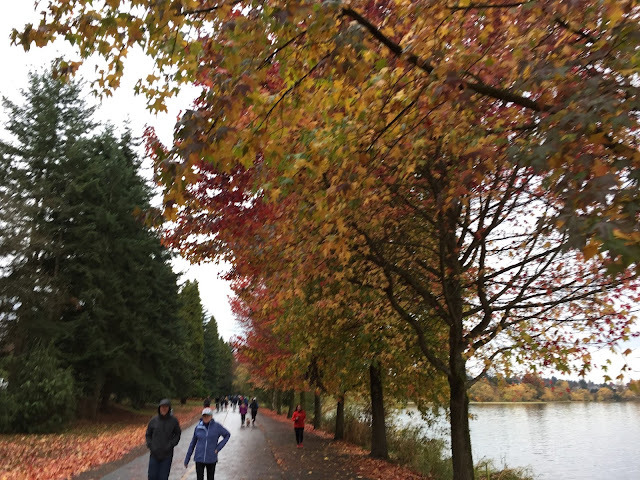 Then the first 10 minutes of running felt hard -- I was relieved when "Laura" (the podcast host) said we were at halfway through. I felt surprised, however, when she said we were at 15 minutes -- I think I was finally warm and loose at that point. And then I was happy to hear "just 2 minutes left", and really pleased and more than a little tired when we finished. Then we did our 5-minute cool down walk, and then extended that a tiny bit so Wil could hit 3 miles on his GPS. Twenty minutes! Nonstop! I'm really pleased to be making progress.